We at Richardson Roofing are fully aware and committed to offering a sustainable approach both within the workplace and towards the environment, with both domestic and commercial roofing. As a result, RRCL recognises its responsibilities for the wider environment and to the local community. Because of this, as an organisation, we have committed to complying with all relevant environmental legislation at local, regional, national and international. Minimisation of energy and material usage and the production of waste. Ensuring our policy meets current legislation and the industry’s best practice. Our company LGV lorries are euro 6 compliant vehicles. We have hybrid company cars for high mileage users on the fleet. 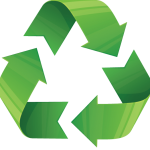 Both operational sites and our office headquarters utilise recycling services through the accredited organisation Lanz. We pay 100% of our employees above the London living wage. Richardson Roofing are committed to helping younger generations build a brighter and better future. As a part of this, over the last 12 years, we have had a fully working and operational apprenticeship program. This has seen three individuals go all the way to the top three within the regional college finals. One of our junior apprentices was asked to represent England in Russia by the National Federation of Roofing. Enrollment to roofing college, Lead development courses, SMSTS courses and first aide training are all a common and frequent occurrence at RRCL.